Calling all lovebirds (AND singles, too)! Bling is your one stop shop this Valentine's Day! 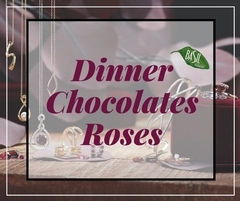 Spend $149 or more and receive a FREE dinner at Basil, FREE roses and FREE chocolates! We've got you covered, but you get all the credit! Offer valid February 11th - 14th. This isn't just for the gentlemen! Treat yourself to that ring or purse you've been wanting and you'll get all the freebies that go along with it. We have your favorite jewelry and accessories discounted up to 50% off now through Valentine's Day, too! Stop in to Bling for your Valentine's Day shopping made easy. We are open Monday - Friday 10-6 and Saturday 12-4!